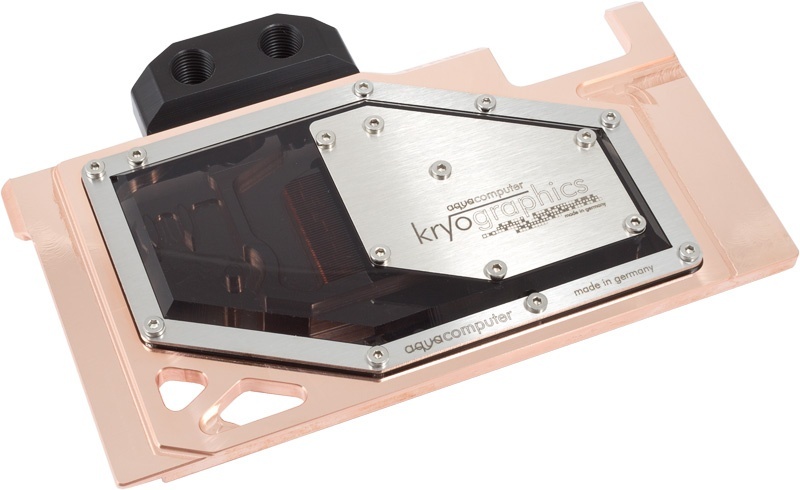 Combined GPU/RAM/VRM-cooler for graphics cards of the type Radeon R9 Fury X with 4GB HBM according to reference design. 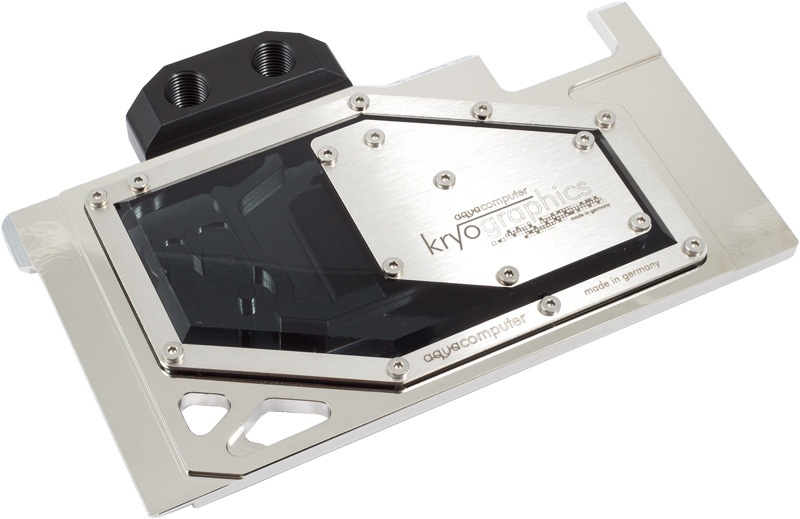 The kryographics for R9 Fury X water block offers outstanding cooling performance and a low flow resistance. 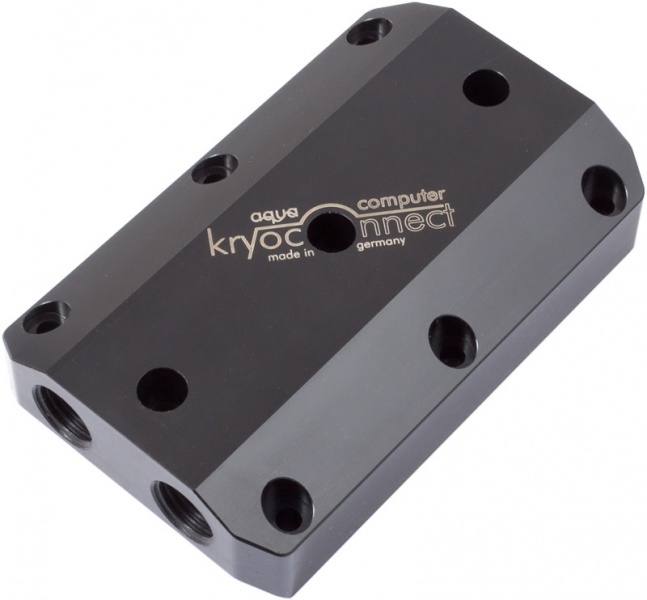 All mounting threads are equipped with spacers for easy installation and to prevent twisting the graphics card. 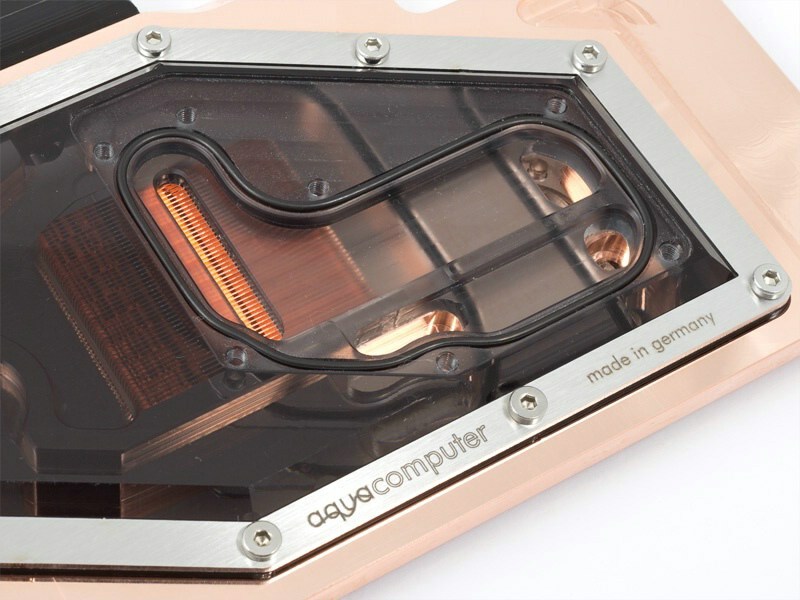 The areas contacting the GPU and HBM modules are polished for excellent heat transfer. 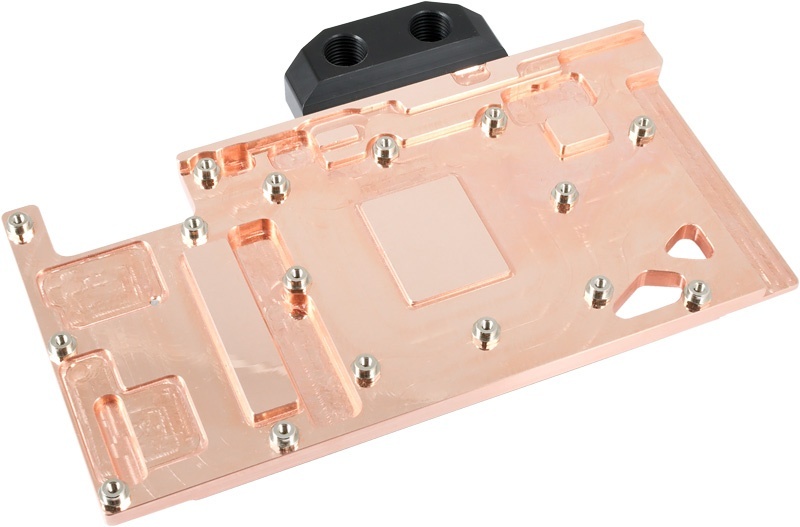 For the voltage regulators, a thermal pad with high thermal conductivity is included. 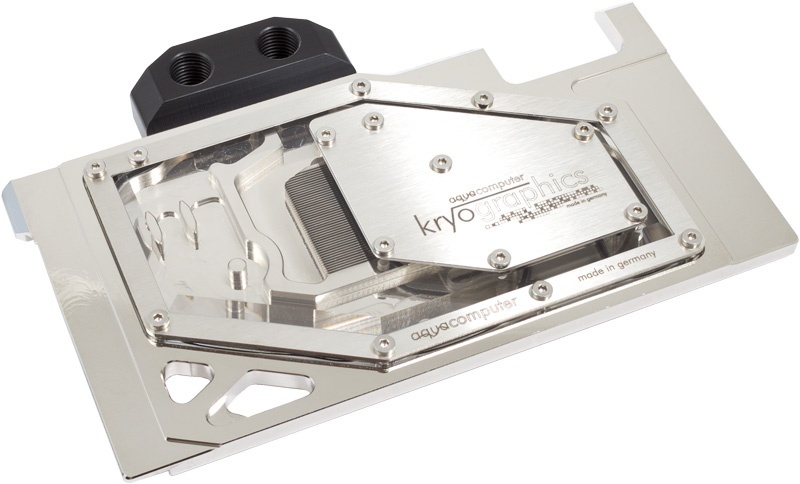 The kryoconnect water block series features a delrin connection terminal that has a significantly reduced flow resistance compared to the previous aquagraFX series. 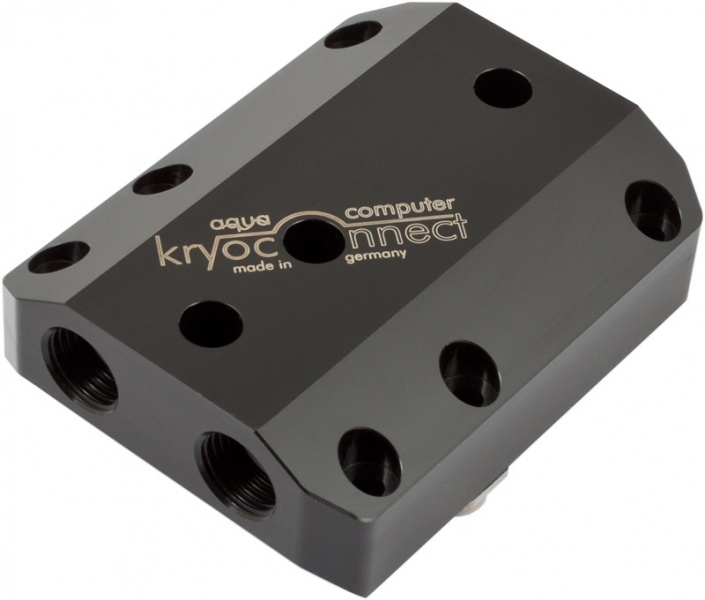 The terminal is fastened to the water block by three screws and has G1/4 inlet and outlet ports on each side for flexible installation. Two sealing screws are supplied to seal the unused connection threads. 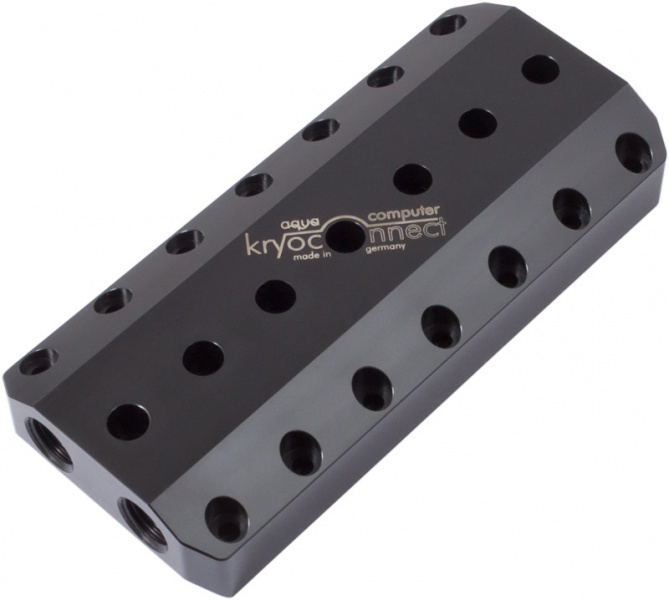 The terminal can be replaced with kryoconnect kits for SLI configurations (art. no. 23551, 23552 or 23553, not included in delivery). 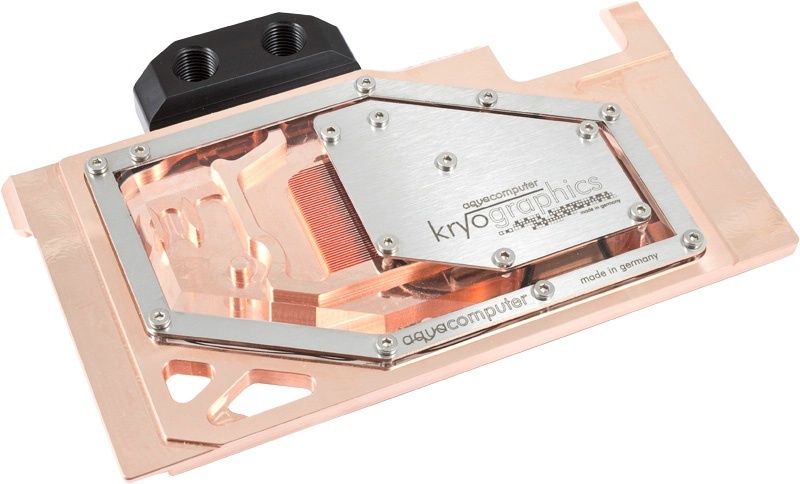 Graphic card and fittings are not included in delivery, please order separately. Threads are G 1/4. 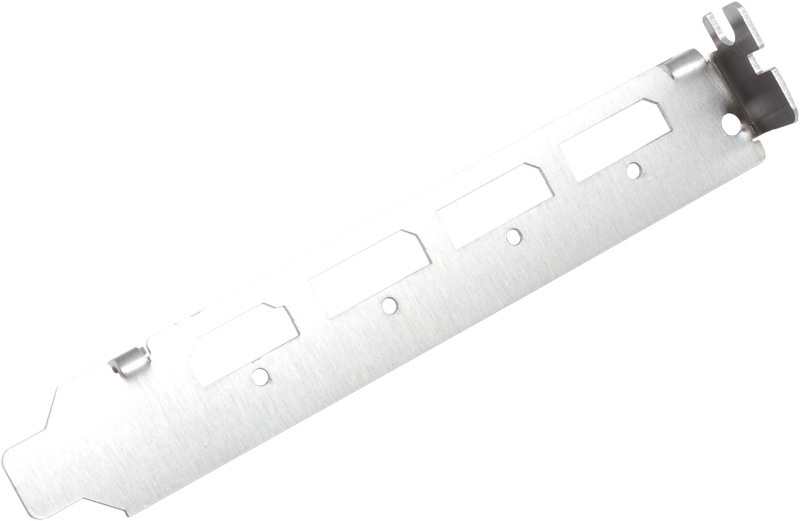 Thermally conductive paste is required for installation.